Li-Fi technology provides transmission of data through illumination by sending data through LED that varies in intensity faster than the human eye can follow. This product focus on developing a Li-Fi based system and analyze its performance with respect to existing technology. 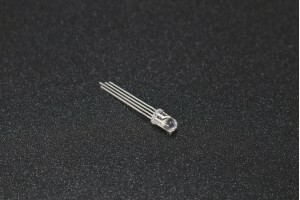 The heart of this technology is a new generation of high brightness LEDs. The product consisting of a transmitter which includes a light source and the receiver circuit which receives the data transmitted via light waves. · Li-Fi wireless optical communication.